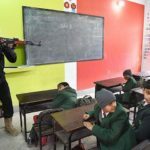 In recent days the media has been broadcasting images of various safety and security drills conducted by the law enforcement agencies and educational institutes. You can be certain that there will be even more in the days ahead as authorities aim to build confidence in the institutes and themselves on their capability to manage an incident. In late 2015, a safety drill in a Kenyan college went horribly wrong when one person died and at least 30 others were seriously injured. The authorities had simulated gunfire and explosions during an unannounced drill. In China around the same period a school fire drill left nearly 200 students injured after they inhaled smoke and toxic fumes that were used to simulate fire. In Karachi, a high profile mall conducted an evacuation drill for its complex. Word spread in the media that people were being prevented from entering the property and many folk in panic headed over or checked on friends and family who were at that place at that point. When a drill is to be conducted, parents need to be notified ahead of time, even if an approximate date is provided (it will reduce the likelihood of panic). A proper documented plan that covers the main risks to the people and facility, along with a detailed response, should be available. It is this entire plan or elements of it that need to be tested regularly. Who need to be tested? Depending on the scale and type of drill you can have a select group or everyone who is at your facility tested. Various support functions (utilities, transport, law enforcement, medical, fire services, etc). Always inform the authorities (police, fire, ambulance, etc. as they may either be called to act or if they are unaware they could respond fearing an actual incident). Parents need to be notified ahead of time, even if an approximate date is provided (it will reduce the likelihood of panic). Senior students as they are a great resource and should be incorporated in your plans (headboys, headgirls, prefects, sports team members, etc.). Neighbours need awareness too, especially if you have multiple institutes in the vicinity as your drill could be perceived as a real incident and they could invoke their own measures. Support units e.g. school vans, utility providers. Remember: Always inform the key stakeholders as they can inform you if it is a good day to train. For example, if there’s a major protest planned in the area then law enforcement will have reduced capacity to support you. If your neighbouring institute has a major activity planned then access to your facility could be hampered. Any situation that is unique to the facility, neighbourhood it is located at and even the profile of the people present. — Desktop / table exercise (this involves no or limited physical activity and is used to gauge the knowledge of what to do during an incident). Have observers who will note all actions during the drill. Have medical resource present at the site even if it is a preannounced drill as mishaps can always happen. Avoid simulations that require gunfire, explosions, fire, smoke, etc. ; instead use alarms, bells, megaphones, or call for help. If testing an evacuation then be clear if individuals allowed to return home? Who is authorised to collect them and who is managing this process? — Are you prepared to manage a real situation during your drill? Safety of all participants at all times is paramount yet it is often neglected during drills. Confirm that all are accounted for. Ensure the facility has been secured and no unauthorized persons are present. By a qualified person (consultant or even trained in-house resource). And ensure that it captures all actions, measures, responses during the drill. To include all, the report must call for corrective measures. The review is essential to understand the shortcomings. However, if there’s no implementation then further drills or even managing a real situation will be impaired. The review will also highlight the need for a future drill on the same subject or test a different capability. Parents — that they can continue to rehearse with the children at home. Authorities — to obtain continued support. Partners — transport, utility providers, etc., for them to take action on any recommendation that impact their service. What is important to keep in mind when preparing or conducting any safety drill is the age old saying: Practice makes perfect. A drill is conducted to help you gauge the effectiveness of your plans and the preparedness of the people.